Our dedicated staff are here to assist you in any way we can regarding your inquiry. Salt Studios offers four (4) work experience positions per year to Year 10 secondary school students. Click the button below to fill out our application form. 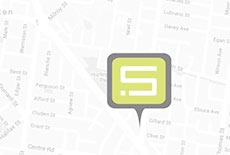 Interested in a Salt Studios Internship? Every 8 weeks we take on a new intern to sit on our sessions and assist our in-house engineers. Click the link below to fill out our simple webform and upload your resume. Successful applicants will be notified via email and given an interview date. Our studios are in easy reach of Melbourne’s CBD. Salt Studios is located at the terminus of the No. 64 tram which is approximately 45 minutes from Flinders Street Station, Melbourne’s central train station. A single trip from Flinders Street Station would require a 2 hour fare to be purchased and costs $3.90AUD (Full Fare). A return trip from Flinders Street Station would require a daily fare to be purchased and costs $7.80AUD (Full Fare). Salt Studios is located approximately 13kms from the CBD of Melbourne. During non-peak times, a cab from the CBD costs approximately $30AUD and during peak times, this can be approximately $40AUD. NOTE: These prices are guide only, Salt Studios take no responsibility for price variance of the cab fares. To book a Taxi call 13 22 26 or book an UBER Cab using your account.